The island of Elafonisos (Greek: Ελαφόνησος) is a small Greek island between the Peloponnese (Greek: Πελοπόννησος) and Kythira (Greek: Κύθηρα). 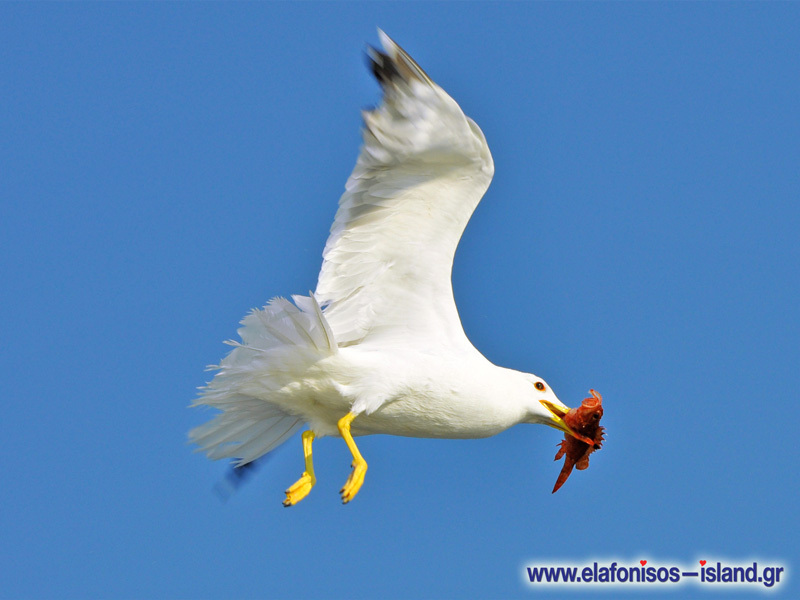 Elafonisos Island lies off the coast of Cape Malea (Greek: Ακρ. Μαλέας) and Vatika (Greek: Βάτικα). The area of the island is 19 km². Nowadays Elafonisos Island is by far the largest inhabited island of the Peloponnese, and the only one that is a separate municipality. 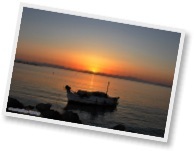 Elafonisos Island features one of the highest numbers of fishermen as a percent of the total local population. 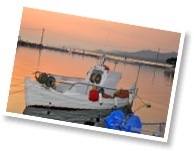 About 60% of the locals are fishermen, and every one of the older generation owns at least one fishing boat. 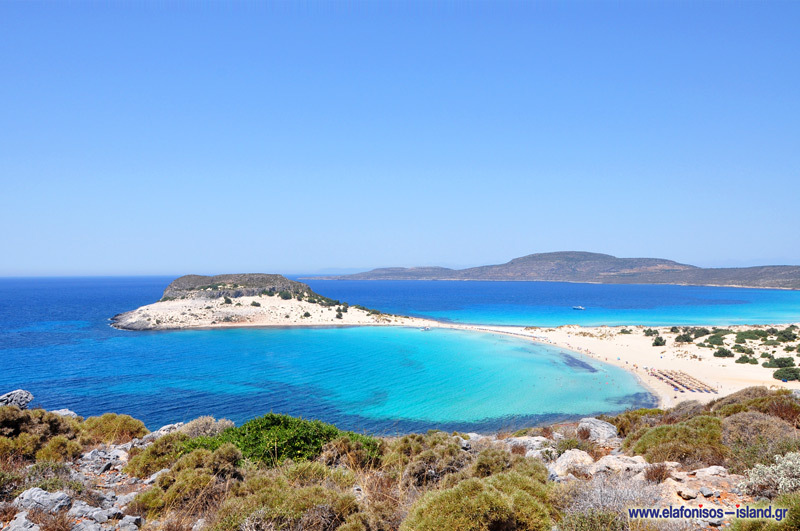 The population of Elafonisos Island is approximately 750, but it increases significantly in the summer months as the island is a popular tourist destination during the summer. The tourist season extends from May to September. The high season is July and August. Elafonisos Island is attractive for its white, sandy beaches, and the crystal-clear waters of the island with a characteristic emerald hue. 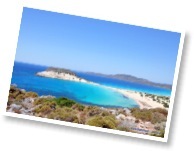 The most well-known beaches of Elafonisos Island are Simos (Sarakiniko and Fragos), Panagitsa (Panagias Nisia) and Lefki. The municipality of Elafonisos Island also includes a piece of the mainland, about 600 ft across from the main Elafonisos settlement. This 3 km² of land also includes Punta beach, a long strip of white sand and shallow emerald waters just like the beaches of Elafonisos Island. 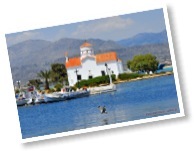 The church of Agios Spyridon (Greek: Άγιος Σπυρίδων), built on a tiny piece of land connected to the settlement with a bridge over shallow waters, is the main church of the Elafonisos Island community, and a landmark of Elafonisos. In the area of Kato Nisi there is a Pyrgos (= castle) called “Pyrgos ton Meladon” (= castle of the Melas family), a Mani-style, two-storey castle on the highest elevation of an 11-acre property. Built for defensive purposes in the late 1800s, today the property is used for cultivating produce and raising livestock. Visitors are encouraged to visit Pyrgos, admire the spectacular, panoramic view of the Laconic Bay from the top of the building, taste local delicacies and listen to the interesting history of both the property and the generations of its owners. There are some important archaeological discoveries on the island and in the surrounding area, such as the "sunken city" as well as a Chalcolithic period burial site from the Copper Age in the area of Pavlopetri. 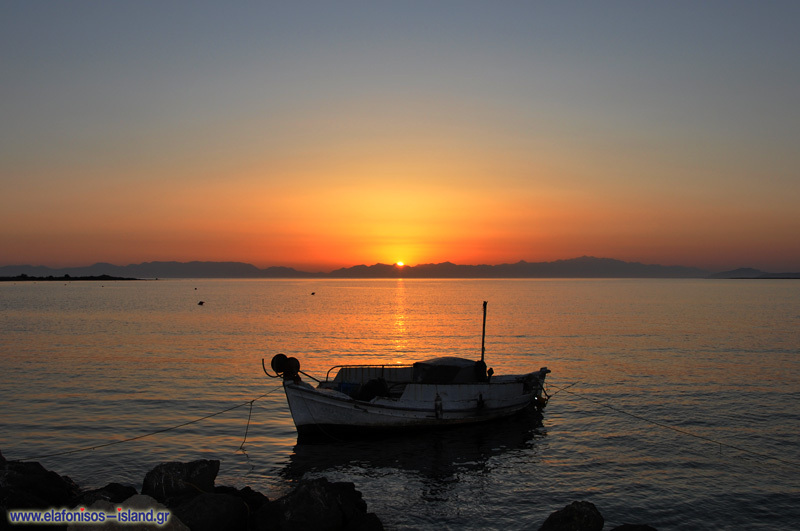 On the nearby mainland, approximately 6.5 km (3.7 nmi) to the East is Neapolis (Greek: Νεάπολη) of the municipality of Vatika. 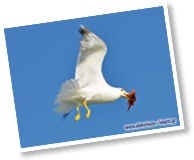 About 8.5 km (4.5 nmi) to the south is Cape Frangos (Greek: Φράγκο) in the island of Kythira. 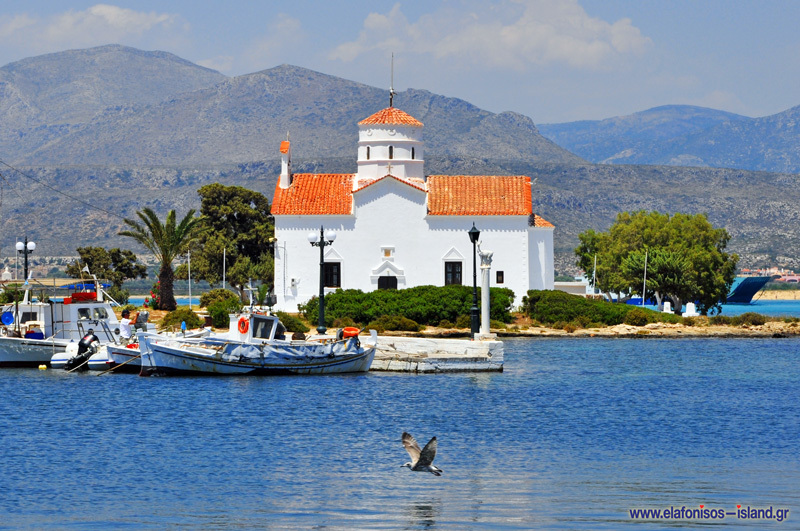 There is frequent (usually hourly or twice an hour during the high season) connection via ferry between Elafonisos Island and the mainland. The trip lasts less than 10 minutes. 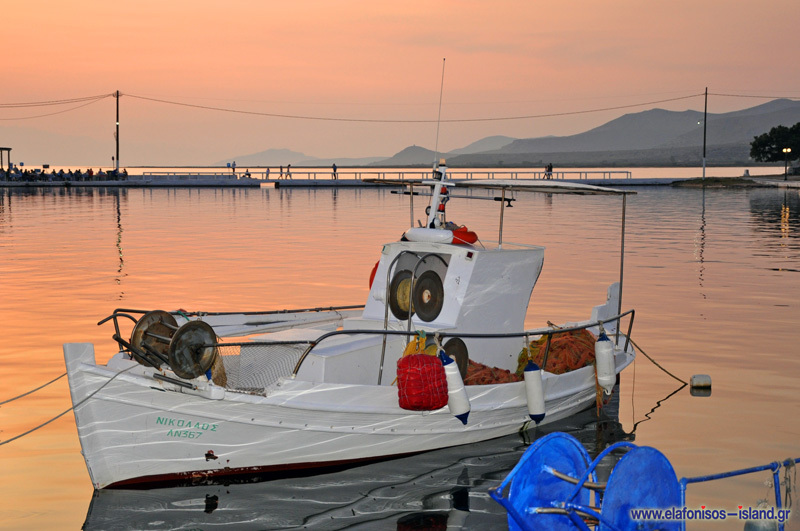 During the high season, there is connection between Elafonisos Island and Neapolis as well. Visitors to Elafonisos Island can drive their own vehicle from the Greek mainland, or fly to the airport of Kythira and then arrange for transportation to Elafonisos Island through Neapolis via ferry.